This essay is 1,838 words long, with title and notes. The body of the essay itself is 1,717 words. Thanks for the stats. Is that a problem? I’m pretty much on board with you here. I think it is helpful to distinguish between naturalism, physicalism and materialism as follows. Naturalism: All physical events (viewed from a strictly physical perspective) can be entirely explained from a physical perspective by appeal only to physical entities and physical law. Physical law must be expressible mathematically (so does not refer to high-level concepts such as good, justice, soul, mind etc). (This does not rule out higher-level explanations which explain actions in terms of intentions or other higher level constructs, but such explanations must complement rather than contradict physical explanations in terms of atoms and forces. By contrast, supernaturalism entails explanations which are incompatible with physical explanations. A ghost is not usually imagined to be composed of elementary particles interacting according to mathematical laws — such a ghost would be a natural phenomenon). With this clarified, is it really so crucial to secular humanism that one be a naturalist? I’m not so sure. I can imagine a non-religious deist Cartesian dualist free-will libertarian might fit in with the secular humanist movement just fine. Indeed moral realism seems to me to be more than compatible with secular humanism, and that is a position which for me is only really justifiable on some sort of supernaturalism (a controversial position I know). Hi Massimo, nice post. My question is: isn’t the problem really about teleology? Naturalists would be the ones who hold that there is no fundamental teleology in nature, supernaturalists would deny that. But, if that is the case (since you concede that naturalism doesn’t entail physicalism, and I guess that you think that we could put together mathematical platonism and naturalism), isn’t the terminology “naturalism x supernaturalism” kind of inadequate? Perhaps “Naturalism” goes too deep in the philosphical waters to be sufficiently clear and workable in a more general sense, and would just generate confusion. So, agnostics need not apply? To me it all smacks of yet another exclusivist metaphysical club. Out on the ground people cut across these categories. Australian atheist Philip Adams often says that he can sometimes only get nuns and priests to sign up to his projects. If you look at services for intellectually disabled children, it is a collaboration between secular, Christian, Jewish organisations and others. When you put morality into practice, it just cuts across these metaphysical niceties. I have been reading “Every Thing Must Go” and it seems to me that Ladyman and Ross are floundering somewhat in their realignment of metaphysics. At one point they are defining Naturalism in terms of bona fide funding bodies which I found more than a little puzzling. In the end they appear to be suggesting that they are Logical Positivists, except with metaphysics, which is a little like saying that you are an atheist, except with a belief in God. I have no real problem with this, as I have no real investment in Secular Humanism. Humanism strikes me as the far more important value system that we need to embrace, given the miserable state of so many human beings across the world. If it is Humanism we are speaking of, I hope that it should be obvious that any sort of naturalistic exclusivity would be a mistake. For one thing, some of the finest, noblest, and most enduring articulations of humanism were made in a religious context, though often an ecumenical one — I am thinking of Pico, here, but also St. Francis — and if you want to go really far back, Hillel — and for another, the people who find themselves in the most desperate of circumstances overwhelmingly belong to religious societies, and it seems to me much more realistic to think that we might encourage religious people to embrace a more humanistic form of their faith then to get them to drop it altogether. I know a good number of Jews — especially women — who came from Orthodox families and found a more just, equal form of life in Conservative and Reform Jewish communities. If the only option to them had been atheism, they likely would have stayed where they were, with all that would have implied. I must demur from this distinction. Any sensible interpretation of “physicalism” must allow particular patterns of physical stuff to still be “physical”. Afterall, things like “neutrons” and “protons” and “nuclei” and “atoms” and “molecules” are all particular patterns of lower-level particles. Further, even within physics, one must allow that such patterns can produce emergent phenomena that are multiply realisible (I gave the example of phonons in a recent thread). Given that it is not at all clear to me that “numbers, moral values and thoughts don’t fall into that category”. I’d say that all of those are categories of patterns of physical stuff. I don’t see why a “thought” is not a particular pattern of physical stuff, whereas a “molecule” is. Afterall, all of the particular behaviour of the molecule is to do with the pattern. Thus, unless one goes for something like mathematical platonism (though I’m not sure what that is even supposed to mean), I don’t see any distinction between physicalism and naturalism. SEP defines physicalism as “everything supervenes on, or is necessitated by, the physical”, which seems to me to hold also for abstract concepts about patterns, such as a “number” or a “thought”. Finally, on the main subject of the article, I don’t see how one can discuss whether we should have a committment to “naturalism”, or alternatively allow the possibility of “supernaturalism”, unless we first have a workable test for whether something qualifies as “supernatural”, which we don’t, since the concept is too ill-defined. My own view is that any view about the “supernatural” should be a product of enquiry and evidence, rather than being a prior committment, and thus (as I argued on my blog) science can indeed deal with supernatural claims. Robin already speaks my objection. “Secular” ≠ “atheist,” and to define “secular humanism” as if it does, without agnostics, apatheists, etc., is to give as much a hostage to fortune, if not more, than to state that it’s based on naturalistic philosophical principles. And, definitionally, this is true not just for “secular humanism,” but uses of the word “secular” in general. That’s a failure on Law’s part, and, sorry, Massimo, a failure on your part on this, too. What Aravis and Socratic Gadfly say too. When I think of the people that I regard as embodying the best of Humanist endeavour – there is the team that run the special needs group at the local surf club or the two guys who have been running the local special needs soccer club for years – I have no idea what their metaphysical outlooks are and I have never thought to ask. But they just have this commitment to making the worlds a better place. The guy who runs day camps for special needs kids, I just happen to know that he is a Rabbi, but that he doesn’t make that a part of his community activities. I suppose you could say that this is truly secular, in that it simply leaves the metaphysical out of the equation, leaves dogmas at home and arrives with sleeves rolled up ready to get on with the job. Mathematical Platonism is compatible with naturalism but not with physicalism, so I think you are wrong to disagree with Massimo here. One example of where the idea that numbers and other mathematical objects are simply patterns of physical stuff breaks down is where we deal with mathematical objects which are not physically instantiated anywhere. For example, there may be a proof of Goldbach’s conjecture which has not yet been found. If it does exist, a mathematical Platonist believes it really exists, right now and eternally. A physicalist believes it does not exist, and on your apparent view it would only exist once found and instantiated in the brain of a mathematician or in the memory of a theorem-proving software process. Suppose I sign up for all the tenets of secular humanism listed above. Now suppose I also sign up for being a ‘naturalist’ in the thin sense. I have no clear sense of what I’ve signed up for that I haven’t signed up for already, especially given that this kind of ‘naturalism’ allows for ontologies with Platonistic mathematical and moral entities. I take it that you want to rule out the existence of miracles that violate scientific knowledge, but this is presumably covered in Law’s tenets of secular humanism. And I take it that you want to rule out that existence of (some versions of?) God, but again, that was already covered in the original tenets. I certainly won’t object to any secular humanist who wants to call himself a ‘naturalist’ of any kind (thick or thin), and likewise I have no problem with secular humanists who don’t consider themselves naturalists for whatever reason. I see no downside to letting secular humanism remain silent on the issue the same way you think it should be silent about physicalism. Just to be clear, which of your words “atheist” or “agnostic” would apply to a person who believed that the probability that one or more gods exist is positive, but is less than 1 divided by 10 to the power 10 trillion? I think many of that opinion count themselves as atheists and naturalists. I also think it is worth pointing out that in the last century, some of the most important defenders of humanism — like Huxley and Orwell and I would argue, above them all, Kafka — saw the greatest threat to humanism as coming from technocracy and bureaucracy (in the case of Orwell, of course, also ideology), both of which are products of applying the methods of science to governance — the idea that people should be scientifically managed. While this does not implicate naturalism, per se, or, for that matter, suggest any sort of anti-naturalist worldview, it is worth noting–more than noting, perhaps–that science and the scientific worldview, when extended into human affairs, can have devastating, anti-humanist results. … the greatest threat to humanism as coming from technocracy and bureaucracy (in the case of Orwell, of course, also ideology), both of which are products of applying the methods of science to governance — the idea that people should be scientifically managed. None of the ideologies or bureaucracies that Orwell, Huxley and Kafka wrote against derived from science, most were promoted by those who valued their ideology way beyond any concern about evidence or reason. The one thing ideologues did not do was evaluate on the evidence whether their ideologies were sound. That suggestion confuses an “is” with an “ought”. The fact that many ideologues were themselves guilty of that doesn’t excuse anyone else doing it. There is nothing at all “devastating” for humanism in a scientific worldview — unless you think that seeking evidence and understanding is somehow “devastating”. Skinner, both in his Walden 2 and Beyond Freedom and Dignity advocated for the management of civil society by social scientists, a position that was overwhelmingly condemned as totalitarian, by humanists. As for bureaucracy, we’ve understood the relationship between bureaucratic modes of management and social-scientific methods and conceptions of instrumental rationality, as far back as Weber. (The latter forms one of the cores of MacIntyre’s critique of modernity in “After Virtue.”) For a nice summary of Weber, see http://www.cf.ac.uk/socsi/undergraduate/introsoc/weber12.html. The secular use of the word ‘humanism’ is hardly recognisable from a Catholic point of view. I understand that the word has acquired a selective, narrow meaning but I think that is a great pity because it loses much that is valuable. With that in mind I am going to explore, from a Catholic point of view, what I think the real meaning of the word ‘humanism’ should be. 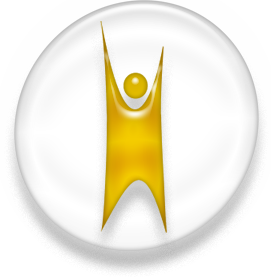 My starting point is to look at the root of the word ‘humanism’ and use that to build a manifesto for humanism. 1. Human. It is a philosophy grounded in what makes us uniquely human, our capacity for compassionate, ethical behaviour. It is also an understanding of our fallibility and weakness(only human). It is a recognition of our capacity for extraordinary achievement(super-human). It is a commitment never to treat anyone as if they were sub-human. 2. Humanity. It is grounded in a respect for all humanity, understanding its diversity, celebrating its commonality, is tolerant and inclusive. It is a commitment to work for the greater good of humanity. 4. Humanitarian. This is a recognition of the suffering of less fortunate people and a commitment to extending every possible assistance to them. 5. Humanities. In the humanities we celebrate and honour our species extraordinary capacity for imaginative thought. It is our capacity for imagination that allows us to be more than we are. Humanism then is the sum of our being human, our humanity, being humane, our humanitarian behaviour and our creative expression through the humanities. The ethos of true humanism is expressed in this prayer for humanity. Where there is intolerance, respect. And it is in living that we give life. I am sure St. Francis would approve. Now compare this with Steven Law’s seven articles of humanism and ask which better expresses our humanity. @Coel, please actually consider Aravis’ arguments. He is exceedingly well informed and his arguments are models of cogency and clarity.. I read the definition of “human” in Labnut’s essay as pure science fiction. It reflects nothing of the variety of behaviors and activities demonstrated throughout the known history of mankind marked by incessant warfare, aggressions, invasions, destructions, and submissions (including destruction of all competing religions by Christian Churches). “Human” cannot be described as a wishful abstraction. It has to connect with the whole content of our knowledge of human history and existence on the planet. The description of “human” in Labnut’s essy reads more like an ideal description of a christian saint in the Middle Ages, an ideal image existing only in imagination. It reflects nothing of biological anthropology whereby we try to delineate the commonality of behaviors and mental systems between chimpanzees and humans, as close products of evolution. confirming the views of Harvard’s Richard Wrangham previously presented in his book “DEMONIC MALES, Apes and the Origins of Human Violence” (1996). I agree with the general argument of this article. However, I think Law’s argument needs further contextualization. First, I don’t think he’s using the term “secular humanist” in a broad sense, but in direct reference to the secular humanist social movement, which has some very clearly expressed political aims (see: http://americanhumanist.org/Humanism/Humanist_Manifesto_III, and the more strident declaration http://www.secularhumanism.org/index.php/11). This movement is in many ways admirable, but its history is not without problems (e.g., yes, back in the ’30s, its adherents did refer to it as a ‘religion’). Even today, it has some interesting issues to work out. Although we do not face issues such as these in the US, we have political problems of our own regarding implementation of theistic and none-theistic thought, particularly in education. E.g., arguably science does not necessitate atheism, but the teaching of it cannot involve theism on any level, because its explanations are naturalistic (they concern nature, what else are they going to be?). Consequently, I think we can be sympathetic to Law’s request for a ‘big tent’ humanism for political purposes, although we can argue, as Massimo does, that naturalism is necessarily woven into the fabric of the tent. @Coel: The social sciences are considered sciences. Therefore, I have to say that Aravis is correct. Taylorism, similar ideas are all built on the theory that employees, societies, etc., can somehow be scientifically managed. And, going to the cousin of science, technology, most of these theories are also based on using specific technologies to help such management, whether through measurement processes, alleged creation of new efficiencies, or whatever. Science has no unique claim on moral values. (I say the same about atheism, whenever “New Atheists” bleat otherwise.) It’s a tool which can do all sorts of things, but doesn’t necessarily do any of them. @Labnut: I think there’s some overlap between secular and religious views of humanism. Denaturing St. Francis’ prayer, I can appropriate it philosophically without claiming that Catholicism is a philosophy in general! That said, I’d have to disagree that the humanism of secular humanism is a narrowing. Arguably, on not grounding itself in a religious basis, that part of secular humanism is an expansion. Other aspects where secular and religious humanism differ are, overall, neither narrowing nor expansion, but just differences, as I see it. Now, if we take your own denaturing of St. Francis as acceptable, and that nowhere else do you explicitly refer to religious or metaphysical issues, I, for one, would accept that as a reasonable definition of “humanism” without either “secular” or “religious” (or “Christian” or whatever) modifier, and caveat about exactly what “exceptional” means. @Roo: All religions, not just Christianity, have killed in the name of religion. And, Stalin and Mao killed in the name of atheism as expressed via doctrinaire Communism. That said, I’m reminded of Mark Twain, in “The Mysterious Stranger,” where Satan’s nephew derides the youth for condemning, rather than praising, animals for not having human nature. Do you view Kant’s position that human beings have intrinsic dignity and worth as based on “pure science fiction”? Because much of what Labnut wrote is simply a more flowery–and to some extent historically Christian-grounded–version of the same sentiment. Humanism is itself too narrow. It is a tragedy that so many humans currently suffer greatly from poverty, war, discrimination, etc., but we cannot focus solely on humans. Humans are now and always have been a part of functioning ecosystems and if we don’t consider this we are only asking for trouble. If one looks at indigenous religions, they all have an ecological component – they tell us how to sustainably live in a specific place – the mega-religions and humanism don’t and that is a major failure. Well no, physical laws aren’t physical, though they are certainly natural. I’m not clear on what exactly the distinction is btw physicalism and materialism, especially given the matter-energy equivalency in relativity, and of course quantum mechanics. I don’t, though he would certainly not be a big offender. A deist, after all, does believe in the supernatural, and is therefore not only not a naturalist, but not an atheist/agnostic (one of Law’s other criteria). Stephen does include agnostics as well, as he will make clear in his response, to be published on Monday. I have no problems with clubs, so long as admittance isn’t conditioned on prejudice. That seems to be entirely beside the point. Law isn’t saying that secular humanists shouldn’t work with (progressive) religious organizations. He is just saying that one doesn’t get to call himself a secular humanist if he is a theist. I believe it works the other way around too (I couldn’t call myself a Catholic, for instance). I think that’s a little uncharitable. They are very careful in specifying what sort of metaphysics they find acceptable, and it isn’t the usually accepted variety. Yes, hence the modifier “secular,” to distinguish what we are talking about here. The difference is simply that secular humanists don’t see the need to supernatural baggage to be brought into the discussion. Indeed, which is part of the reason I think naturalism ought to be brought in. There is a tension btw scientism and naturalism, in my mind, and it is a beneficial one. As DM pointed out, that’s not what is at issue. Mathematical Platonists are naturalists (contra what Law seems to think, incidentally), and there is no way to fit that sort of idea into physicalism without warping the concept of physicalism to the point of meaninglessness. You are confusing the thing with particular instantiations of the thing. Numbers are not physical, but it takes physical brains (or computers, or whatever) to think about them. Science is a pretty ill-defined concept, but you don’t seem to have a problem applying it. Really? What happened to your idea that moral questions can be answered by science, then? As I said above, Stephen’s longer list (in his book) actually includes agnostics, as he will clearly state in his response to my essay on Monday. It is “thin” on purpose. What hinges on this thing is that secular humanism is a philosophy of how the world is, not just of how we should act in the world. As such, it better take on some, reasonable, metaphysical commitments, or it ceases to be a philosophy. Yes, in a sense. Which is why I noted in the essay that Law’s caution about naturalism is inconsistent with his atheism. I’m not sure I agree with that (and I’m familiar with Catholic doctrine), but even if I did, secular humanism of course rejects the source of origin for Catholic-type humanism: gods. This is not at all an insignificant difference. It is a common mistake to assume that the word “humanism” implies that the focus is only on humans. Secular humanists are very concerned with the environment, animal welfare, etc. But it is “humans” who hold to these positions, not the environment or other animals. Practical environmentalism is impossible to argue with. But moral environmentalism represents an expansion of moral concern that has yet to be effectively expressed and acted upon, within the human sphere and thus, represents, in my mind, an unjustifiable leap. I agree that it is a bit tenuous to call a physical law a physical thing (that’s why I said “perhaps”), but surely it depends on how you interpret “physical”. Physical laws are at least physical in the sense that they pertain to physics (the clue is in the name! ), so I can see some versions of physicalism granting them an ontological status, at least the underlying laws of the universe (as opposed to the approximations known to science). I think it’s clearest to take materialism to be the view that only matter exists. That is made rather untenable now by the confirmation of mass-energy equivalence over the course of the last century, which is why I think it is best to keep it as a label for a position which is now effectively dead, bar a few naive holdouts perhaps. I think secular humanism is humanism for the non-religious. I really see no need to tie it to atheism. Agnosticism is clearly fine if Law agrees to this, but similarly I think pantheism and deism ought to be allowed as long as they are held as philosophical rather than theological or religious positions. Theism may be pushing it, agreed. One of the persistent ambiguities in our use of naturalism is that we rarely distinguish between metaphilosophical naturalism and metaphysical naturalism. The former is a view about the relation between science and philosophy; the latter is a view about what must be the case. One can be both a metaphilosophical naturalist and a metaphysical naturalist, but one needn’t be — Horst in his Beyond Reduction argues against metaphysical naturalism based on his commitment to metaphilosophical naturalism! I’m writing a paper now showing how this compares with Huw Price’s contrast between “subject naturalism” and “object naturalism”. A hard issue raised by Ladyman and Ross turns on how unified the sciences are. In their essay in Scientific Metaphysics, they raise the intriguing option that, if it were to turn out that there’s more evidence for disunity than for unity in the sciences, then metaphysics as a positive project would be nothing over and above the abstract characterization of real patterns. I strongly suspect that that is the most plausible option to take at the present time, and that they undersell how difficult it is to reduce biology to physics because they don’t appreciate the insights of autopoeisis theory as a theory of formal biology. However, it should be noted that what I call pocket supernaturalists did contribute historically to the rise of humanism in many ways. Beyond ethical issues, which deeply concerned them, we should remark that the ‘why bother?’ factor is probably inevitable for deists and others who feel prone to believe in the supernatural but can’t find any use for it. At some point, if they think it through, the supernatural collapses. Hopefully, they can retain their ethical concerns, but now embrace a naturalistic explanation of reality and its events. I don’t see Secular Humanism as a matter of ontology but rather of morality. It’s secular only in the sense that the morality used by secular humanist is secular, which is an option available to theist and deist as well. in this sense, I have to agree with Law here in not making naturalism a part of the criteria. This is sadly not always true, just venture onto some skeptic forums and you’ll see plenty of people passionately denounce secular humanism because they see the commitment to morality as a “religion”. Aravis, why is your “but” any more important than mine? And what makes your morality better than mine? Pointing to one person (Skinner) who (1) was a scientist, and (2) advocated a particular political philosophy, is not the same as saying that that political philosophy came from science or from a scientific world view (all scientists are human and so have a whole host of attitudes and motivations beyond being scientists). Similarly, “social-scientific methods and conceptions of instrumental rationality” are again really political philosophy rather than science (co-opting the term “science” is not sufficient to make something a science). I’ll readily agree that a lot of political philosophies have been harmful, back to Marx and others. *Prescriptive* political philosophies are more or less by definition not science. Not everything that is *claimed* as being science is actually science. Ideologues often try to co-opt and claim they’re doing science when they’re really doing ideology. Much early “social science” was ideological dross (e.g. Marx) and not science (historically, physical sciences also grew out of non-science such as astrology). Science has no unique claim on moral values. *Anything* that is prescriptive is not science. Science is knowledge and understanding. Human values (and prescriptions arising from values) are distinct from that (though can be informed by science). And, Stalin and Mao killed in the name of atheism as expressed via doctrinaire Communism. No, they did not kill “in the name of atheism”, they killed in the name of doctrinaire communism (there is no logical connection between atheism and communism). They oppressed anything non-communist regardless of its stance on theism. and worth as based on “pure science fiction”? “Dignity” and “worth” are human value judgments. Yes, humans (often) grant other humans that status; there is nothing “intrinsic” about it. Numbers do not “exist” (I reject Platonism, sorry DM! ); what exists are (1) *conceptions* of numbers, and (2) patterns of stuff that can be described using numbers. Thoughts *do* exist, they exist as patterns of brain stuff. Moral values do exist (in the same way that thoughts do). All of those things exist physically, as being patterns of physical stuff, in exactly the same way that “atoms” and “molecules” are patterns of physical stuff (just simpler and more basic ones). I am afraid I cannot respond to you, as I will be exceeding my quota. Suffice it to say, I disagree entirely. And, that is a major issue. To get back to the previous post and “exceptionalism,” I can believe that humans are exceptional within naturalistic development, yet reject the idea that they’re exceptional because they’re created, that they’re “guided” by an occasional “intervention” into evolution or anything else. Per the Western theistic tradition, I can also reject the idea that they’re exceptional because they have metaphysically dualistic immortal souls. Ergo, I might have a different view on euthanasia than a religious humanist. Or wife-swapping. After all, a secular humanist isn’t worried about “sin” against a deity. Per Massimo, this gets back to issues of “flourishing,” and whether it’s just for now, or for another life. @Carl therefore no, such things can’t always align. Even if both “sides” agreed with either Law’s list, or Labnut’s, the devilish details of definitions on said lists would produce disagreement. Per @Imzasirf This is also why “secular humanism” isn’t the same as “atheism.” Atheist and Jesus mythicist Robert Price, for example, think Obama is a socialist who should be impeached. And, disentangling these threads can be tricky. @Coel: Sociology doesn’t use research, formulation of hypotheses, etc.? Ditto for psychology? Ditto even for economics, the most dismal of social and all sciences? Yes, yes, and yes. And, none of those (well, except for supply-side economics) is “ideological.” We’ll agree to disagree, or just disagree. And, with use of both the word “science” and “ideological” like that, I understand more and more why you like Coyne that much. I’ll disagree as much, and with more detail, than Aravis, including to point out, per his first post: “What, novelists can’t right about science”? (Revive Asimov and tell him.) I’ll politely say no more about things being co-opted by ideology, either. We’ll also disagree on atheism’s relation to communism, given that the Soviet Union, for example, was officially atheistic, and you didn’t pay attention to how I exactly phrased my initial statement. Marxist–Leninist atheism has consistently advocated the control, suppression, and elimination of religion. At least you didn’t (yet) trot out the Gnu Atheist canard that says that Stalin can’t be an atheist because he went to a seminary. And, I will “pass” on your ethics link. And the thought processes behind it. I, like you, have two comments left. 500 exactly. I agree with Coel on this issue, it seems like your painting all scientific activity as applied to managing people with the same brush, which is an incredibly large area to write off. Can science be misapplied, sure and it has many times. Scientists have been very careless in the past but that doesn’t mean that people should never be managed scientifically and that it is just inherently wrong. To give a simple example, take any public health intervention that relies on scientific theories of behavior to get the most impact. We are managing people already, we can use ugly words like manipulation or nicer ones like influencing but it’s still management of people. The same is true for a therapist, who will use techniques to manage his or her client’s behavior. I think the bigger mistake one can make is confusing moral questions with scientific ones, pretending that just because something is science, therefore it must be good. Skinner, both in his Walden 2 and Beyond Freedom and Dignity advocated for the management of civil society by social scientists, a position that was overwhelmingly condemned as totalitarian, by humanists. I have to comment on this (even though its off topic and as Coel points out, not really relevant to the larger point about science) as it spreads the nonsense about B.F. Skinner that is so often found these days, with very little indication that the critic has taken the time to study the man and his work, which is tremendously important in all types of applied behavioral work to help out millions of people in all areas of life (not to mention his scientific contributions). Moreover, it’s patently false that humanist see him as a totalitarian, he won the humanist of the year award at one point so this is gross misrepresentation. His work focused on studying behavior and how to manage it. He was a huge advocate for getting rid of punishment and other aversive and demeaning methods, especially towards vulnerable populations (i.e. children, mentally ill). His point as they related to human beings was that the environment influences our behavior whether we are aware of it or not. However, once we are aware of this process, we can use environmental setups to create a better society. This is no different from medical researchers learning how disease functions and go out to change it. It may of course shake our sense of human essentialism but it’s hardly worthy of the charge of totalitarianism. I really don’t have much to add here. DM, labnut, and I beat this horse to death in a private conversation sometime back. There have been some excellent observations in the comments, particularly ejwinner’s first comment and others’ that directed focus on the moral/political underpinnings of humanism. I don’t have any reason to think that there is anything that is not physical (including mathematics), but I think that the key part of secular humanism is the humanism part, which is primarily political. First, only people who call themselves X should be saying what X means. Of course people who call themselves X can argue about what it means. And I don’t call myself a secular humanist, so I don’t have strong feelings about what it means. I do call myself a materialist (which to me implies atheist) but I have a specific meaning for that which might not pass philosophical muster, but which as a practical matter does seem to distinguish my thinking from some people who call themselves secular humanist. I believe there is no “spiritual realm”. This means I believe that ghosts, spirits, gods, live after death, souls, out of body experiences, etc. don’t exist. (Note I deliberately didn’t write “I don’t believe in …) In other word. So I define naturalism as not believing in any supernatural entities. And I don’t try to define “supernatural” (In fact I think it is an incoherent idea) I just list the supernatural ideas that float around. Numbers are not supernatural. Ghosts are. And if ESP exists (which I doubt) I have no reason to believe it wouldn’t be a natural phenomena subject to scientific investigation. In practice this does not seem to create any problem. I just want to commend SocraticGadfly’s most recent remarks to Aravis, Carl Sachs, and others. I found it extremely thoughtful, and underscored many of the problems in this issue. Some may want “secular humanism” to synthesize into a single project, but perhaps that’s not possible; the two terms may not entail each other. I seem to hear the distinct clatter of Coel’s old reductionist drum. Given the problems with type physicalism (as opposed to token physicalism- which I take to be roughly akin to Massimo’s idea of naturalism) and the lack of any except epistemic normativity (Putnam) in science, how are facts alone supposed to promote humanism without some sort of Sam Harris-stye question begging? That depends on how one unpacks intrinsic- i.e., intrinsic relative to what? If it is intrinsic to the idea of human personhood that we accept human dignity and worth, then that is as intrinsic an idea of intrinsicness as one needs. I do not need to find the human dignity element on the periodic table, since that (in part) begs the reductionist question. If notions of human dignity and worth are necessary for human flourishing, why is that not sufficiently intrinsic? I don’t live and engage with the universe as a quasar; I live and engage with it as a human being. Scientists may have differing views, but the lack of any but epistemic normativity in science means that science qua science cannot underwrite the idea of human dignity. That was a prime concern of the authors Aravis mentioned- if it doesn’t take that into account, maybe it’s implementation won’t either. And in that case, one might very well ask Juvenal’s question: Quis custodiet ipsos custodes? (Who guards the guardians?). Especially when they ask us to ditch freedom and dignity as silly illusions. As to Skinner, he wasn’t just any scientist, but according to survey data in 1975, was the most well-known scientist in the US. (Norman Guttman, On Skinner and Hull: A Reminiscence and Projection, American Psychologist 32:5, p. 322). And this business about social science not being real science is simply the No True Scotsman tactic. There are important distinctions between the natural and social sciences, but to simple dismiss the latter as “political philosophy” is ridiculous. One reason I am not much interested in identifying with “secular humanism” is because I see it as a kind of secular religion. Within religions, the way the world is determines how one should act, ethically speaking. Does this apply to secular humanism? Yoking together “how the world is” with “how we should act” seems to imply a positive answer, seems to imply not only as religions do that there is only one acceptable system of morality (broadly understood), but also that there is only one acceptable political orientation. Not even religions (at least the ones I know) go this far: they do not prescribe a particular political position or orientation. Why can’t we just engage in political action as progressives (or conservatives, or whatever)? What does the “secular humanism” label add? I’m really not sure about 4 on the list. Would taking an anti-realist position on morality really be antithetical to the aims of secular humanism? For example, money and politics are two areas that are central to our lives, yet we don’t have to think there’s some sort of ontological status of either idea outside of humanity. Curious to see how he responds. So values cannot be knowledge? Is there no such thing as applied knowledge and practical understanding? You are misinformed. Atheism was a consequence of Marxist Communist ideology and also practice (it was a threat to Communist power). Marxism-Communism is not an entailment of Atheism. Atheism has no positive moral conclusions or principles whatsoever – though it of course undermines the backing of theistic ethics. I think you need to qualify that statement. I would agree if you said misinformed or incomplete science or scientific worldviews when implemented or when incorrectly implemented can be devastating. Now, this does not impugn science or naturalism and their usefulness to society. On the other hand if admittance is conditioned on a religious test then it is misleading advertising to call the club “secular”. And what is “no theists” if it is not a religious test? That seems to be entirely beside the point. Law isn’t saying that secular humanists shouldn’t work with (progressive) religious organizations. I am only pointing out that in practical matters the metaphysical niceties of right and wrong are pretty much beside the point. He is just saying that one doesn’t get to call himself a secular humanist if he is a theist. That seems to imply that “secular” means “atheist”. But it does not. A theist can be a secular Prime Minister, as long as he/she actually is. Secularism is not the property of atheists, it was not even begun by atheists – secular governments were originally the product of people who were mostly theists. And it is not even as though all atheists are secularists. Take Sam Harris for example, he is, in effect, proposing a religious test for senior scientific positions. That is anti-secularist. by the definition Stephen Law provides in  of his list. So, in general, I think that “Secular Humanist” is a bit of a misnomer if it actually means atheist humanists. This might even be construed as an attempt to colonise the terms “secular” as well as “humanist”. But then again, unless there is a stone tablet I should know about, we all get to call our selves what we darn well please. I will wait and see. I can’t see how, by his criteria, that he can be including people who are genuinely agnostic. Hi Massimo, I agree with your overall argument. I am a bit hard pressed to see why naturalism wouldn’t (at the very least) be the practical or operating assumption of anyone approaching an endeavor in a “secular” capacity. Obviously religious people could have humanitarian goals or interests, but if they act or identify as secular on a certain issue I take it that they have set aside religious metaphysical beliefs. For example a “secular” government is not an “atheist” government, but deals only with temporal, non-supernatural issues. I suppose this means I don’t think secular humanists must be nonreligious, but if they are then they operate as if their faith does not intersect with these questions (or answers to such questions). Deists come to mind. While I agree with Coel that things like math and morals are set in physical systems, and so physicalism is connected tightly with naturalism, I think you and DM have sufficiently argued that they are not synonymous. I don’t see how. A “law” is a human concept describing a regularity in the universe. Neither the concept nor the regularity are physical. The fact that they pertain to physics seems to me entirely irrelevant. It doesn’t *make* them physical. And apparently we agree that given current physics there is no difference btw physicalism and materialism, as you say, the latter being a bit old fashioned. As a secular humanism I’d say yes to agnosticism but definitely not to all the others, which are forms of religious belief, thereby embracing the supernatural, albeit at a minimalist level. In technical philosophical terms yes, in terms of this debate not really. The definition I gave in the essay is pretty straightforward, and contra Stephen, I think pretty much all secular humanists are comfortable with it. Again, clearly in this context we are talking about the latter, not the former. I disagree, and so does Stephen, since he clearly includes a rejection of gods (a metaphysical position) in his list of tenets of secular humanism. It has still gone one step too far for my taste. True, so did a number of religious humanists. Indeed, during the Renaissance the term “humanism” had nothing to do with secularism. But we are talking about the current cultural movement, not of its historical roots. I disagree, it is about both, see my comment immediately above. I have grown increasingly disappointed with the skeptic / atheist movement, and have began to think that my writings are best addressed to the general public, not to the already converted who nonetheless manage to mount an absurd level of infighting. I hate to remind you of this, but this isn’t a discussion about what you believe. That you reject Platonism is entirely irrelevant here. The point is that mathematical Platonism is compatible with naturalism, and that it is a coherent philosophical position which should not be excluded from the general framework of secular humanism. Moral values are *not* patterns of physical stuff, they are instantiated by patterns of physical stuff. This mistake has been pointed out to you countless times, and I’m really puzzled by your insistence on it. It’s not a matter of your opinion, it is a basic tenets of logic that there is a difference between the concept X, instantiations of X, and material means by which X is instantiated. Well, to me the very term “secular religion” is an oxymoron. Secular humanism is a philosophy, and you may or may not identify with it, but if you are not on the basis that it is a religion I think you simply picked the wrong reason. Secular humanism’s tenets are much less strong than that. But it is true that, politically, it is a generally progressive philosophy, based on variations of egalitarianism, communitarianism and the like. So, yes, strong conservatives and libertarians need not apply. The problem here is that the term secular means a number of things in different contexts. We live in a (more or less) secular society in the sense that religion doesn’t rule law and government. But the “secular” in secular humanism explicitly means non-religious, so yes, religious people are not welcome to the club (just as I, as an atheist, am not welcome into, say, a Catholic organization). That doesn’t mean the club can’t cooperate with other clubs, though. See what I just wrote above. Initially the Soviet Union was not officially atheistic, it was secular and had a provision about freedom of religion in its constitution. The atheistic purge came after the establishment of the Union, albeit fairly soon after. It began fairly innocuously, with mocking and harassment of religious believers but moved to arrests, shootings and labour camps. To say this was done in the name of communism and not atheism is actually wrong – it was done quite literally in the name of atheism – the League of Militant Atheists. (sometimes translated League of Militant Godless). I think those who believe that atheism can never become the excuse for atrocities are kidding themselves. Yes, but Szabo begins by assuming physicalism, so he then has to somehow account for logic and math. To me a physicalist account of math makes even less sense than a mathematical account of the physical (a la Tegmark). Secular humanism is clearly a two fold project: rejecting theistic or otherwise supernatural/religious explanations of the world, while proposing an ethic based on respect for other humans. The larger social project implicated here is reconstruction of society and its government in such a way that displaces claims of religious foundations of morality, certainly to the extent that these are used as justifications of law and policy. Among the problems appearing in the comments here, one can see that there are several forms of humanism, and indeed, historically, there have been several forms of secular humanism. Further, while rejection of the supernatural/religious explanations of the world leaves one with with some sort of naturalism, particularly as we find such explanation in science, naturalism itself may not be all one thing. Consequently, it’s not clear that secular humanism can present itself as a unified philosophical stance; perhaps, despite declarations to the contrary, the best it can offer is a certain social attitude. Finally, the differences between the US and the UK may again be useful here: In the UK, Humanism has a needed adversarial political function in relation to a traditional state religion. However, the US already has a founding document that is both secular and humanist, the Constitution; here it is thus partly a matter of defending historic gains against religious claims to the contrary. I’m not sure we can adequately clarify these issues without reference to their history. But I look forward to Law’s further input here. The OP hints that naturalism is necessarily antiscientistic and that this is the essential basis for secular humanism. But as I see it all antiscientistic argument are also just plain antiscience unless applied arbitrarily. That of course is contentious. The claim that somehow scientism causes Bad Things is not very contentious here, but unfortunately it should be. For example, in discussing secularism somehow Communist scientism is supposed to be responsible for repression of religion to promote atheism. But there wasn’t any such scientism in the Mexican Reforma or in the repression of Buddhism in China or in the repression of the Roman Catholic Church in various Protestant states, which viewed the papacy as an international political and economic entity. Where’s the scientism there? The OP vaguely remarks on Prof. Law being inconsistent in avowing atheism while rejecting the necessity of naturalism. But this point isn’t really developed, possibly because it’s not really clear that naturalism conceived as a pluralist epistemology can really justify atheism? Or to put it another way, it seems this is a problem for both Prof. Law and the OP.